Richard F. Pino, Jr. - Manzi, Pino & Company, P.C. 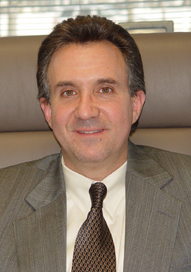 Richard F. Pino, Jr. is a senior partner in the firm. He has expertise in estate planning and trust services, individual and corporate tax planning and tax structuring. Mr. Pino earned a BS degree in Business Administration from the University of Vermont . He is a member of the New York State Society of Certified Public Accountants and American Institute of Certified Public Accountants. Mr. Pino also has a security series 6 license as an independent registered representative to provide financial services and has his New York State insurance license.